Flowers for Algernon. The story is about a middle-aged, mentally retarded man who wants desperately to be smart. He agrees to undergo an experimental procedure to increase his IQ. 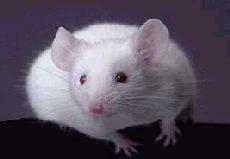 The procedure has caused significant changes in Algernon, a lab mouse, but has never before been done on a human. Charlie Gordon will be the first. Read the touching novel to follow Charlie and his thoughts from pre-operation to post. Preview the selection by reading the title, subtitles, and bold excerpts, and by looking at the pictures. Fill in the first two columns of the KWL chart. As you read, continue the KWL chart by adding information and/or questions to the 2nd and 3rd columns. When you get to the part about Multiple Intelligences, take an online assessment to find out your style. Use the worksheet provided to record responses and tally totals. Continuously refer to the Discussion Questions and answer them as you read throughout the story, taking notes in your reading response journal. To extend the lesson, visit the author's webpage. A link is provided for you. Also, visit the other webquest link. We will be doing some of these activities as a class. If you liked this story, find out what else author Daniel Keyes has written. Participate in a mock trial in which Dr. Nemur and Dr. Strauss are accused of medical malpractice. Will you be a lawyer, jury member, witness, defendent?? ?